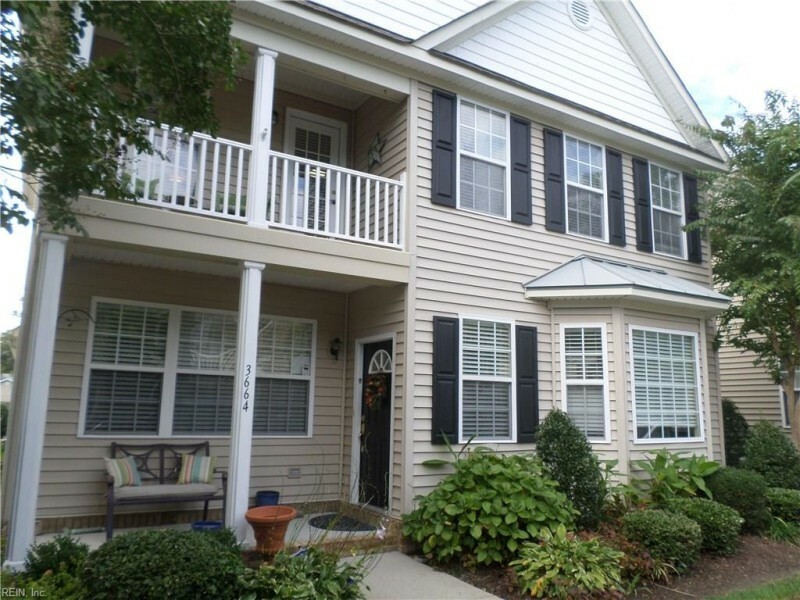 OPEN FLOOR PLAN, 1ST FLOOR MASTER WITH CERAMIC TILE SHOWER & JETTED TUB W/2 WALK-IN CLOSETS. BEAUTIFUL BRUCE HARDWOOD FLOORING, 1ST FLOOR. CERAMIC TILE IN KITCHEN W/42" CHERRY WOOD CABINETS & CORIAN COUNTERS. UPSTAIRS LARGE LOFT WITH CLOSET AND TWO SPACIOUS BEDROOMS WITH BALCONY. HUNTER DOUGLAS BLINDS, TWO CAR GARAGE. MUST SEE! Ready to visit 3664 CAINHOY? Request a free property tour! Send me more information about the listing at 3664 CAINHOY, Virginia Beach, VA 23462, MLS# 10159507. This 3 bedroom, 3 bathroom home located at 3664 CAINHOY, Virginia Beach, VA 23462 has approximately 2,100 square feet. It is currently listed for $265,000 and has a price per sqft of $12,619. This home is currently Active under the MLS#: 10159507. This listing is provided by RE/MAX Allegiance. 3664 CAINHOY Lane, Virginia Beach was built in 2004. It has Garage Att 2 Car, Driveway Spc parking.The kitchen includes Dishwasher, Dryer Hookup, Microwave, Gas Range, Refrigerator, Washer Hookup. 3664 CAINHOY is part of the Towne Square neighborhood located in 23462.